You have rights as an employee! 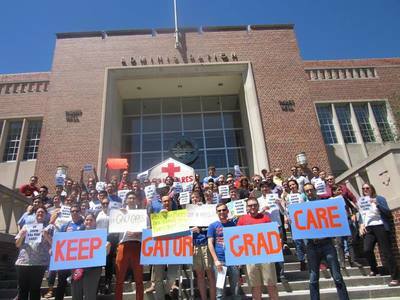 ​According to Article II, Section 8 of the Graduate Assistants United Constitution, GAU’s objective is “to promote economic security and humane working conditions within the University.” GAU accomplishes this through negotiating our Collective Bargaining Agreement (CBA), or contract, with the University of Florida. Our contract governs the terms of your employment as a graduate, research, or teaching assistant. We negotiate our entire contract every third year (for example, 2017, 2020, and so on). During the other years, we negotiate selected articles, such as those dealing with stipends. Bargaining sessions usually take place during the summer. 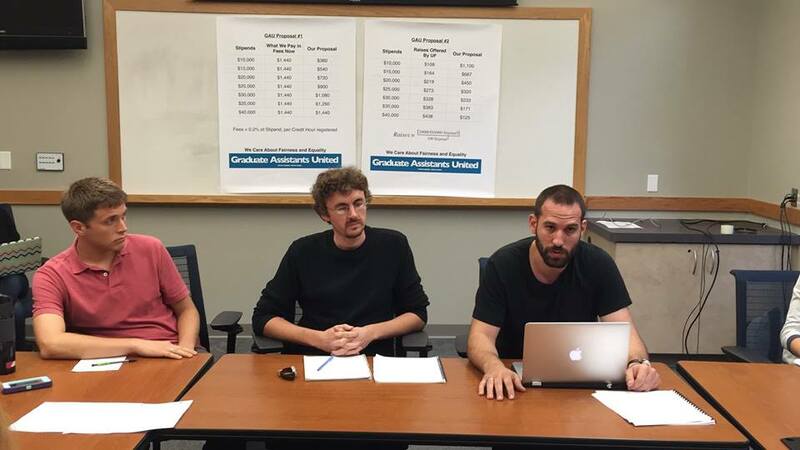 All contract negotiations involve continuous preparations by the GAU bargaining team, which is led by the Bargaining Chair, the GAU Co-Presidents, Coordinator, and GAU members. During negotiations, United Faculty of Florida – our partner union – assists and provides advice on contract negotiations, legal questions, and contract language. After a tentative agreement is reached between the University of Florida Board of Trustees (UFBOT) and GAU, graduate assistants vote on whether to officially ratify the contract. ​In preparation for bargaining, GAU holds regular bargaining training sessions, which are open to all GAs. ​Training sessions include discussing proposals for upcoming negotiations. 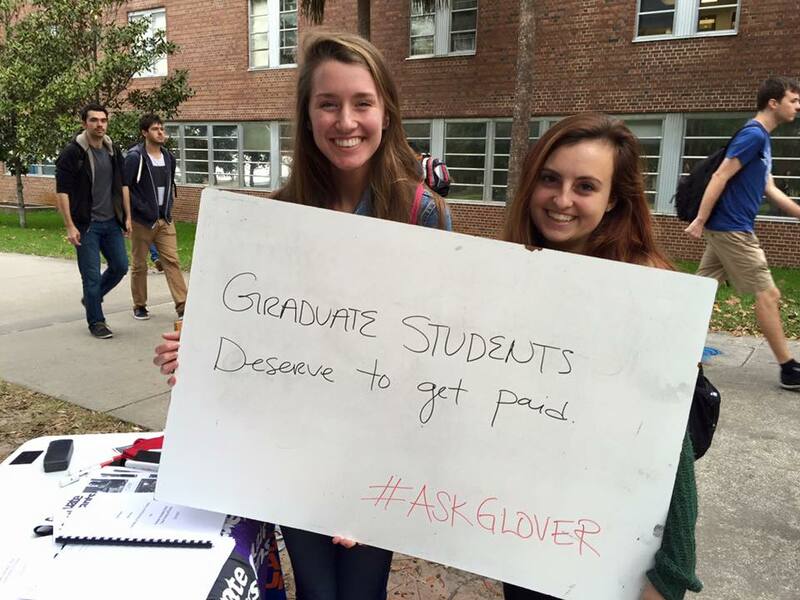 If you would like to get involved in the bargaining process, please email us!